4 photos above by Alex Koch, thank you! Silver Ratio is an audiovisual work created by LIA, using code as the fundamental material. 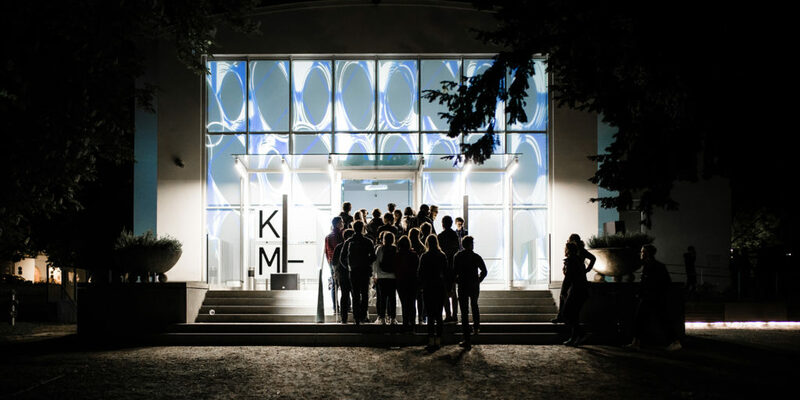 This digital edition stems from a new commission by the Künstlerhaus – Halle für Kunst und Medien for the Klanglicht Festival 2018 in Graz, Austria. 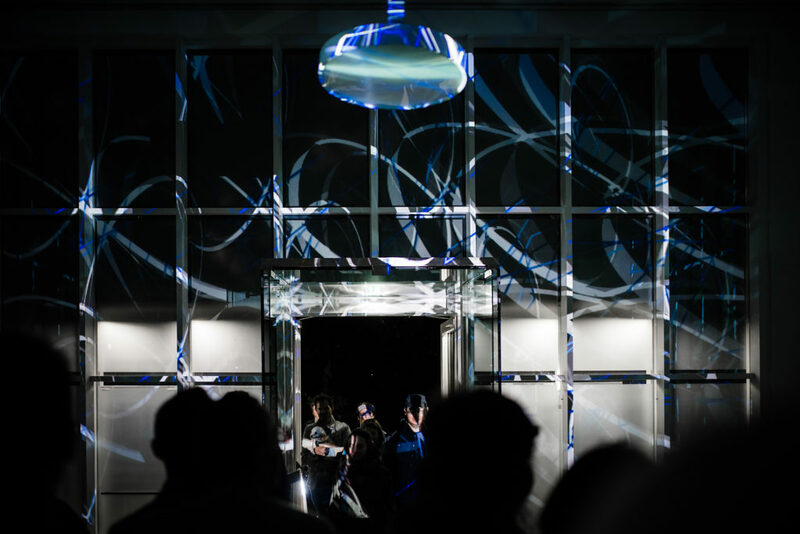 The work is presented as an installation projected onto the three glass walls of the building, creating an immersive experience both inside and outside the building. 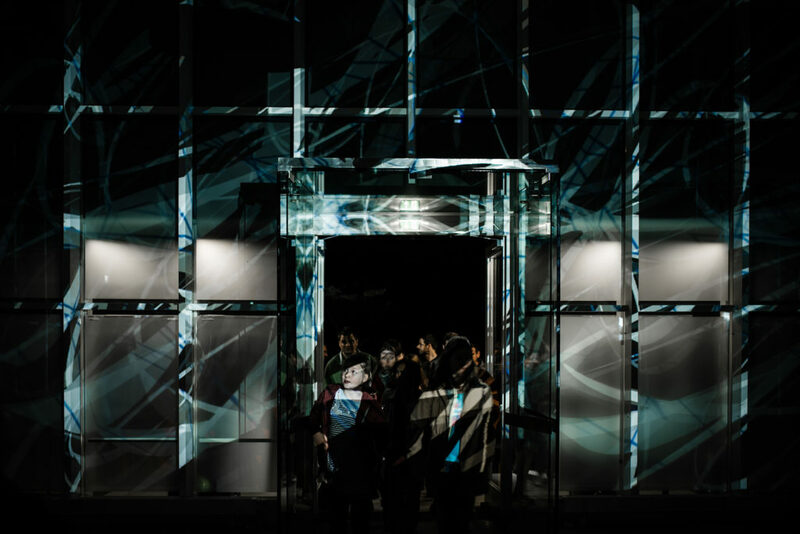 For Sedition, LIA has created a digital artwork derived from the original installation, which offers a further perspective on the project, and it can be viewed on any digital devices. 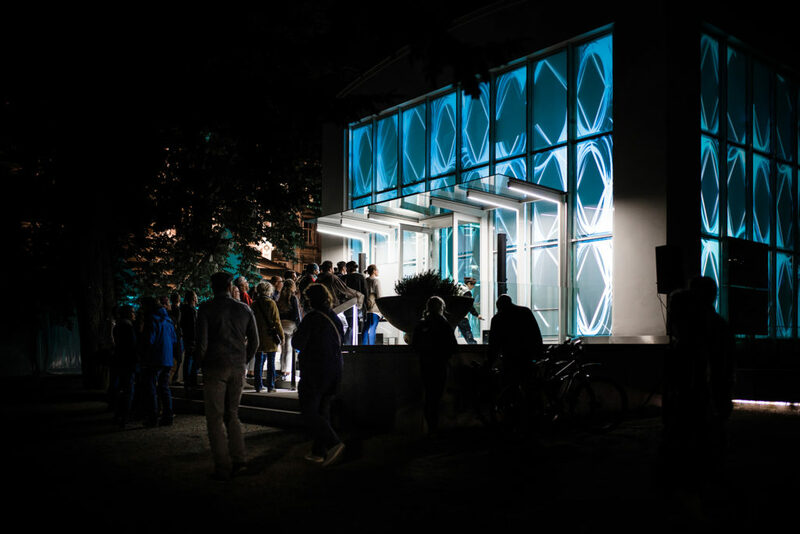 In Silver Ratio, explores the space and rhythm of the Künstlerhaus, from the building’s perspective and with a soundtrack by Damian Stewart. The artist references the relation of visual elements to the architecture and traces the arc between the building’s rigid structure and vitality, created by those who use it. In her practice, LIA translates concepts into formally written structures that, in turn, generate an output through a ‘machine’. The artistic experience contrasts with the formality of the written code. LIA’s work takes up traditions of drawing and painting and connects these with the aesthetics of digital image worlds and the language of algorithms.